MICHELLE: Hm… I think this week I’m going to go with Elegant Yokai Apartment Life. I started watching the anime recently and it’s charming and weird, which has vaulted the manga to the top (well, near the top, at least) of my to-read pile. SEAN: I’ve heard good things about Invitation from a Crab, and am also interested in After the Rain. My pick, through, is for the 8th and final Kagerou Daze light novel. The books may be very short, and based on a series of songs, but they’ve also got disparate characters uniting and trying to change their fate – something I’m a sucker for. 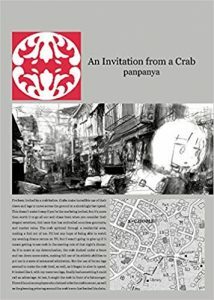 ASH: The quirky and artsy Invitation from a Crab is definitely one of my top picks for this week, the other being the deluxe release of Abara. ANNA: Abara wasn’t on my radar at all before but I’m curious about it! That’s my pick! MELINDA: Like Ash, I’m pretty torn between Invitation from a Crab and Abara, and I’m not sure I can choose just one.